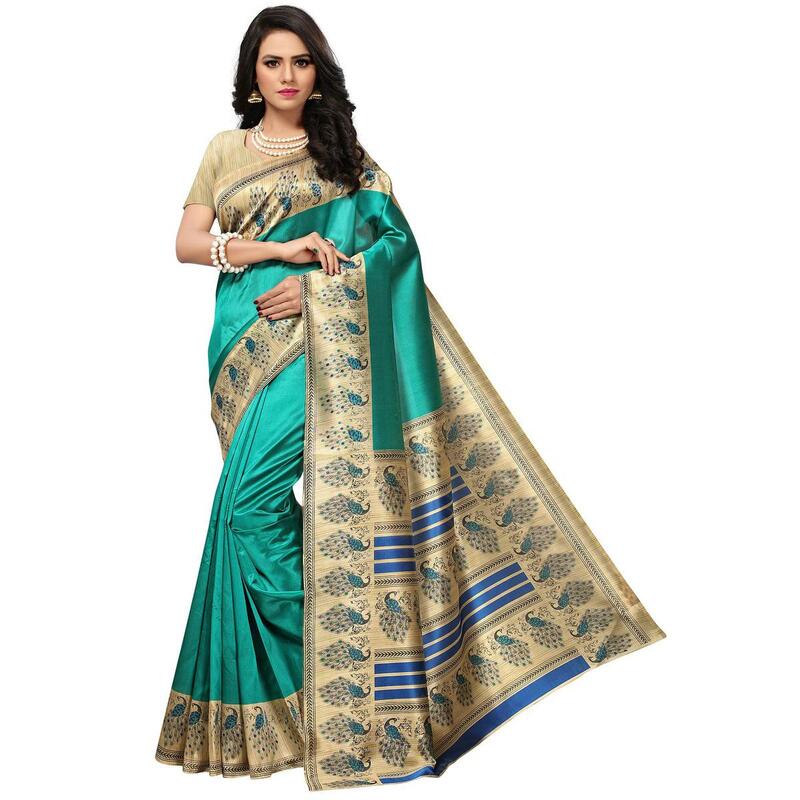 Add spark to your ethnic look on festival season with this amazing turquoise green colored saree which is perfect for any occasion. 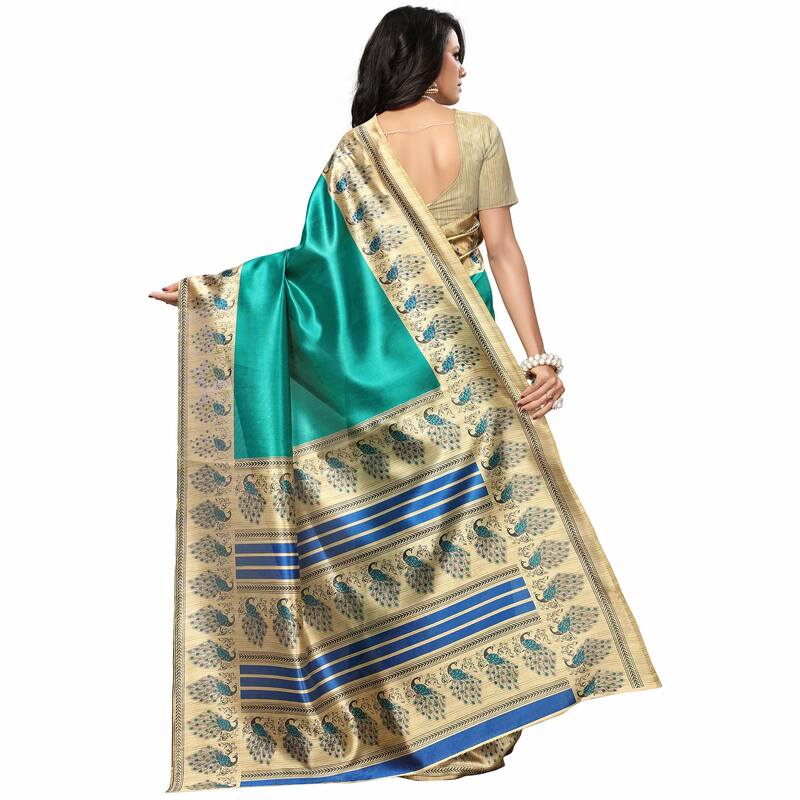 This saree is made of mysore art silk fabric which is prettified with exclusive print which gives awesome classy look. 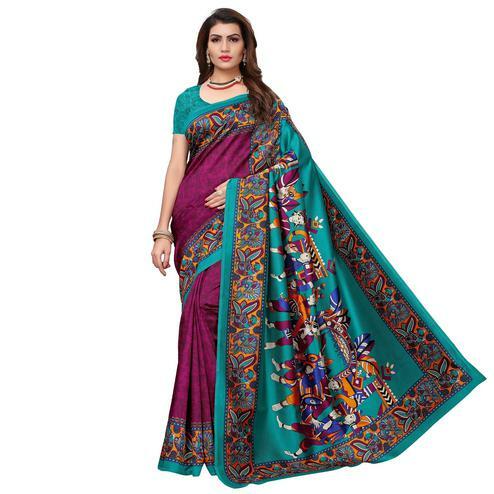 This saree comes along with unstitched mysore art silk blouse piece which can be stitched as per your choice or requirement. 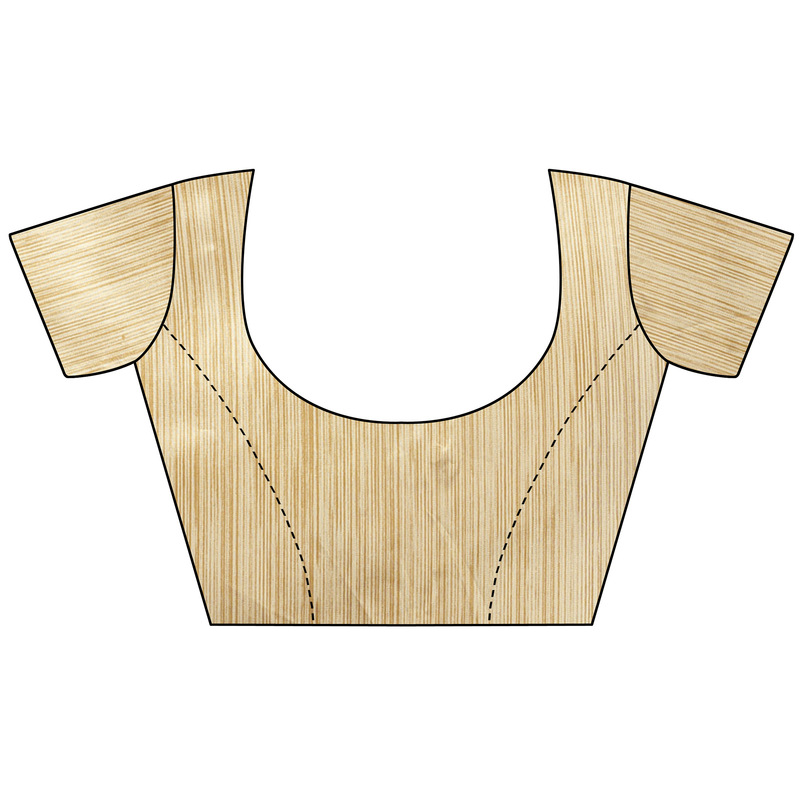 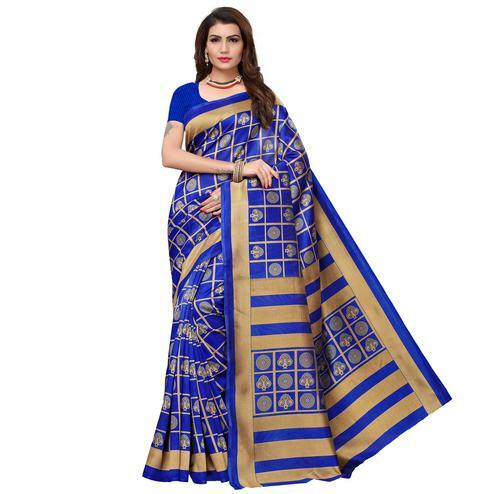 Suitable to wear for family functions, social outings and parties. 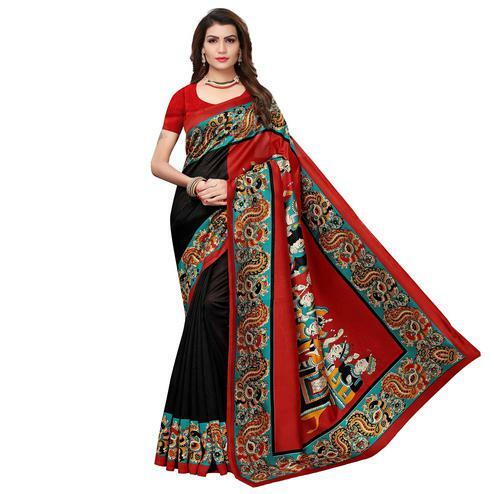 Team it with classy accessories to make your looks more beautiful. 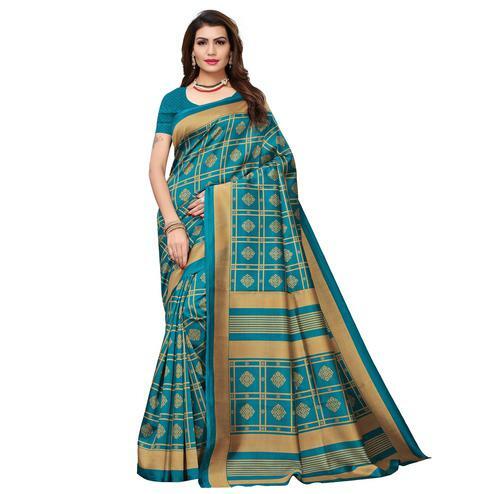 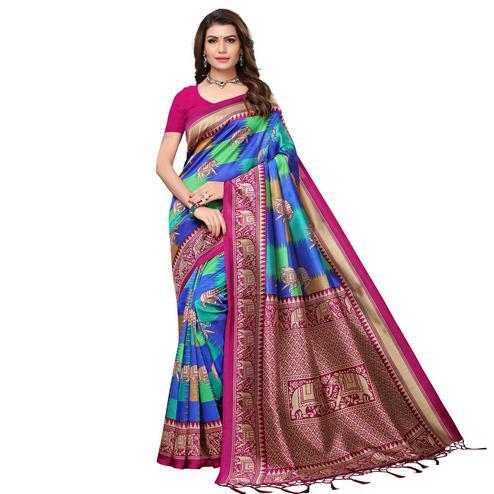 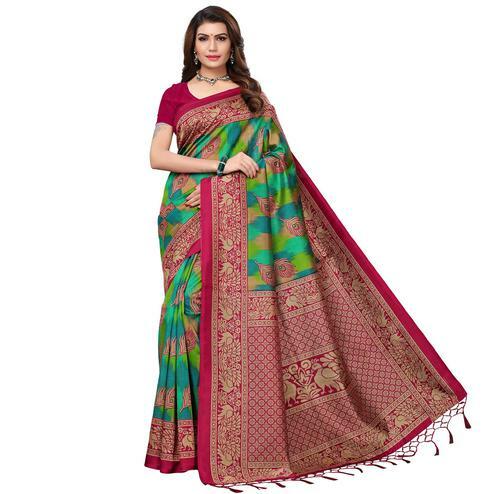 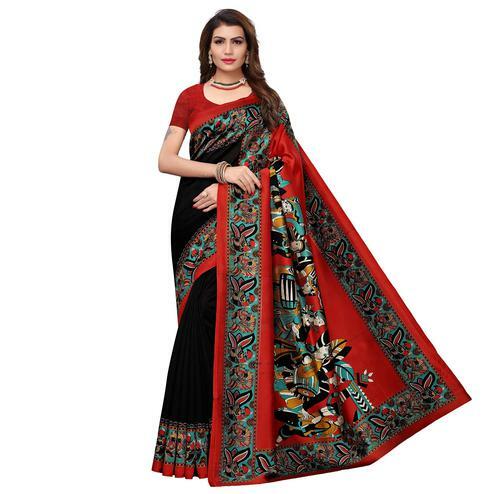 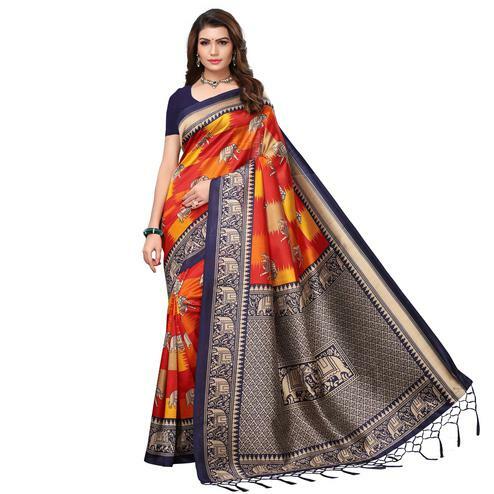 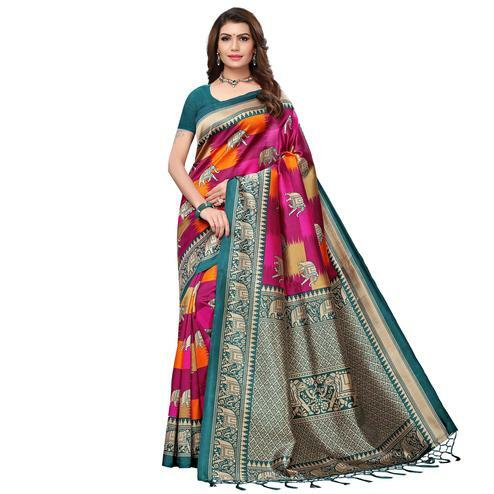 Buy this saree now as it's a unique piece with attractive color print which is rare to find.